To be sure, ongoing review is key to ensuring that your SMA managers continue to meet your clients’ evolving needs. 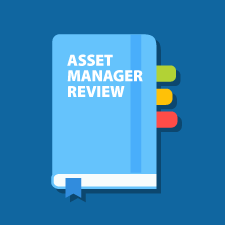 To help you perform that task effectively, here I will share some best practices for cleaning up the asset manager clutter. But before diving in, let’s take a brief look at what SMAs are, including some of their benefits. What is an SMA? An SMA is a professionally managed portfolio of individual securities owned directly by the account holder. It is usually offered by RIA–broker/dealers, which select money managers in multiple asset classes for inclusion in the program. Here, the advisor controls asset allocation among managers, and rebalancing can be initiated by the advisor. For whom are SMAs appropriate? Generally speaking, clients who may benefit from an SMA are those with a net worth greater than $1 million (excluding residence) and investable assets greater than $750,000. They are individuals who would like tax-efficient investments and prefer individual equities to pooled vehicles. What are the benefits of an SMA? There are numerous benefits associated with using an SMA, including tax-efficient investing (through tax-loss harvesting opportunities) and the ability for your clients to see exactly what they own rather than a pooled investment. Plus, clients have access to institutional-quality money managers at lower initial investment values, and you have the ability to customize portfolios based on your clients’ needs. Now that we’ve covered the basics of SMAs, let’s turn to some best practices. To help you streamline the periodic monitoring of your asset managers, here are some important best practices to keep in mind. Evaluate each manager category to identify differentiation. From a practice level, overdiversification of managers can lead to a time-consuming monitoring process at quarter-end (i.e., when SMA managers release portfolio commentary and performance attribution). To maximize your efficiency and avoid laborious manager reviews, sort your manager usage by market cap and style (e.g., large-cap value). For any category with more than one manager, ask yourself how each differentiates itself from the others. Perhaps the unique traits are purely related to the investment process (e.g., a dividend-focused manager that also weighs growth factors), or maybe a few are service related (e.g., a portfolio manager that offers a call with you every quarter). Regardless, differentiation among managers is crucial. If you find a manager in one of your categories that doesn’t set itself apart from its peers, question why you’re using it at all. The goal here is to avoid a scenario in which you’re using—and taking valuable time to monitor—managers that effectively do the same thing. Ensure that product attributes and your clients’ needs align. As client needs evolve over time, the use of certain managers may no longer be necessary. For example, let's say you broadened your manager roster to satisfy a client’s sophisticated needs 10 years ago. Now, however, her needs have become less complex, and an expansive manager allocation may no longer be warranted. After all, why hold on to a manager if the client no longer needs the solution it provides? Use resources from your RIA–broker/dealer to determine if continued use of a manager makes sense. Resources from your RIA–broker/dealer can be helpful in gauging whether to stick with a manager, although platform coverage can vary from firm to firm. Keep in mind that some firms offer vast “dual-contract” manager offerings that leave a good deal of due diligence up to you. Here at Commonwealth, we offer the Preferred Portfolio Services® (PPS) Direct SMA/UMA platform, which offers a more refined manager offering. This platform includes more than 125 individual equity and fixed income strategies, as well as more than 150 ETF/mutual fund model portfolios. 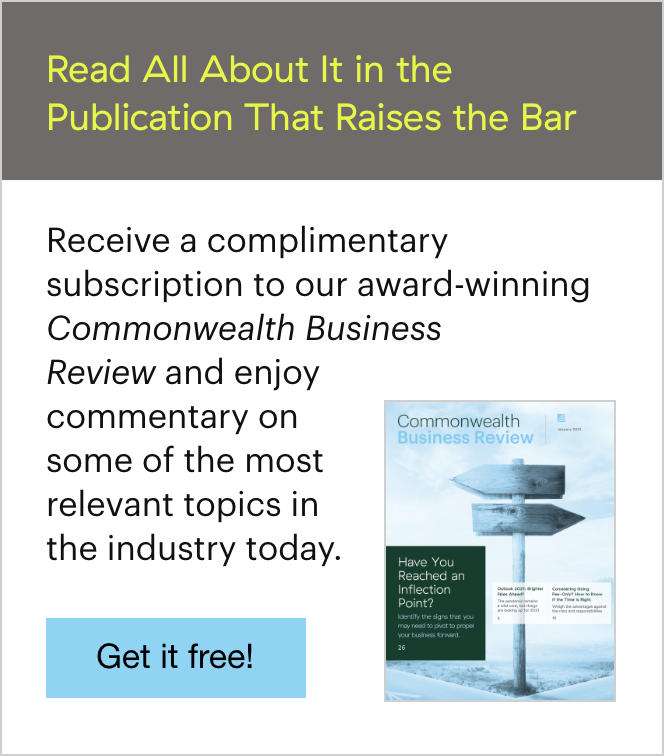 Plus, all of these strategies have gone through Commonwealth’s rigorous initial and ongoing due-diligence monitoring process. If a material change to a manager’s ownership, process, investment team, or regulatory standing is found, we act swiftly to notify our advisors. The decision to move on from a manager can be obstructed by embedded capital gains within the portfolio. Fortunately, there are some options to help ease this transition for tax-sensitive clients. Explore the holding similarities between managers. One of the prime benefits of SMAs is individual security ownership, which provides the portability of securities. In other words, you and your client have the ability to terminate the current manager and take the entire portfolio of stocks or bonds elsewhere—perhaps to a new SMA manager or another program entirely. If you do choose a new SMA manager, that manager will review your client’s current portfolio and retain any positions that overlap with its portfolio. Of course, portfolio similarity will vary from category to category. 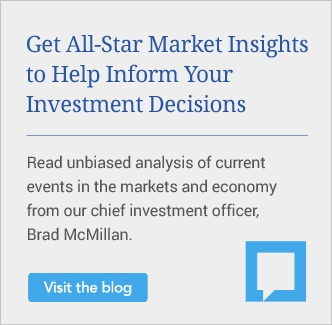 In our experience, we typically find 20-percent to 30-percent overlap in the large-cap category, and then less overlap as we move down the market-capitalization spectrum. Consider a specialty manager that can thoughtfully manage the portfolio over multiple tax years. For clients who need a more customized portfolio transition, a tax-transition manager might be an appropriate fit. On Commonwealth’s PPS Direct platform, for example, we offer multiple managers that can retain the client’s current positions and thoughtfully transition them over time to a diversified core portfolio. This is all done according to an annual gains budget provided by the advisor. This solution has proven to be valuable not only for accommodating existing clients but for attracting new clients as well. Migrate assets to an advisor-as-portfolio manager program where all holdings can be retained in-kind and you retain all discretion. If having control of the portfolio makes the most sense for your business, transitioning the account to an advisor-as-portfolio manager program is always an option. Again, with the portability of securities, this transition is 100-percent tax efficient. Outsourced management will be removed, and you and your client will have the assurance that any and all trading activity will come from you. Commonwealth’s advisor-as-PM program, PPS Custom, gives advisors all the tools they need to efficiently manage portfolios. Add Time to Your Day! There's no doubt that outsourcing the daily investment management of some client accounts can free up a significant amount of time for other activities throughout your practice. As you expand your usage of outsourced managers (like SMAs), look to identify differentiating factors that make a new manager unique and worth implementing in your practice. If you find your manager usage becoming scattered over time, keep these best practices in mind when cleaning up the asset manager clutter. Have you successfully outsourced your investment management? What best practices do you use to address the potential clutter? Please share your thoughts with us below!